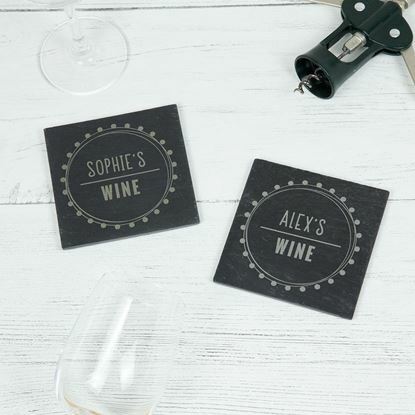 Chunky Slate coasters with a Swirl Boarder design, ideal for wine lovers or as a wedding or anniversary gift. 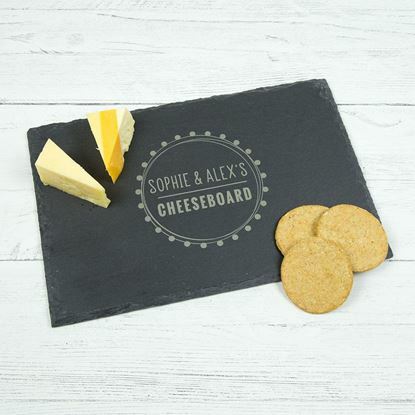 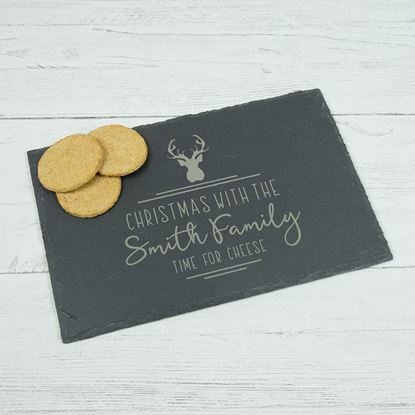 Whether it's a family or a couple of cheese lovers, our personalised Christmas slate cheeseboard makes the perfect gift and is finished with a gorgeous seasonal stag design. 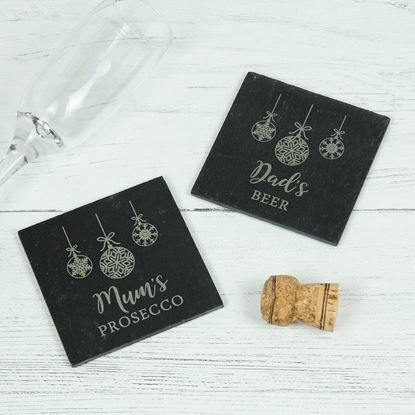 Chunky Slate coasters with a cute bauble design, ideal for your Christmas dinner table.